Interesting guest post by Colm Cavey. The Jobdoctor.ie, providing Corporate Outplacement and private one to one career change services at all levels throughout Ireland. 1 Across: 6-7. Bad mouthed, self-opinionated, dislikeable, two faced with a flawed, weak character. And there are lots of them around, mostly found in offices, initially unrecognisable for what they are but show their venom quite frequently in a rather secretive and alarming fashion. They are predators. They feed on the weaker and always cover their tracks. The kindest thing you can say about them is they are not nice people. It goes downwards from there. They cannot be identified easily as the man or woman with the dark suit in the corner office. They are secretive and only show themselves to the carefully selected people they target: usually, ones that are not in a position to fight back. Mostly those with where it’s not in their nature to retaliate or be seen to create a fuss. These people will often keep their head down, take the abuse and say nothing. The stress, anxiety and upset that this causes for some can range from annoying to debilitating to the point where some have to go home or take a day/days off work to recover from a particularly brutal attack of verbal abuse. Unfortunately for some, it can lead to a severe personal breakdown or worse. For anyone who has never been the target of a bully, the above will seem like fairy tale stuff and find it hard to believe that anyone would put up with this kind of conduct. That being the case, then you are clearly, the kind of person that a bully will target. They are too smart to abuse someone who will give back what they get, in front of others and show them up for what they are. Evil minded disturbed people with no pride in themselves, manipulators and taking pleasure in watching their discomfort. 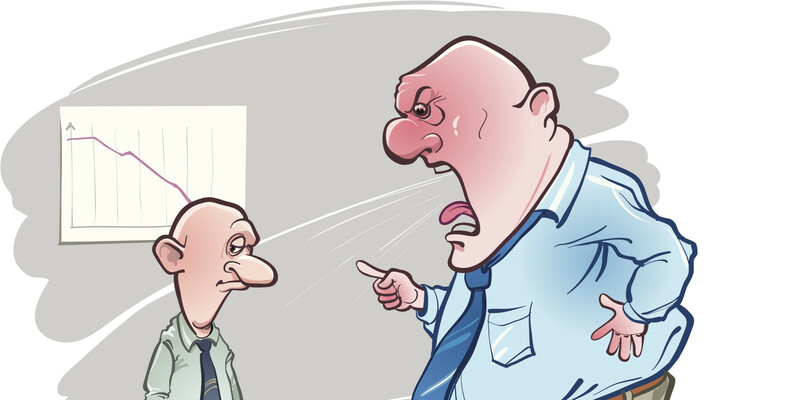 Pressure to perform and the resulting stress seems to bring out the worst in them and prompts their urge to intimidate and undermine those with a less robust personality type. One thing for sure, your favourite bully has a personality disorder. So how do you identify the bully in your mists? In short, you can’t until you are the target of their abuse. In a very general sense, they tend to enjoy feeling powerful, especially when the other person doesn’t stand up for themselves. They believe they are far better than everyone in their skills and abilities to do their job. In short, they intimidate the weaker. However these people are flawed, their integrity is flawed but can appear to be ‘uber friendly’ and very personable to those around them except those they have targeted to be their ‘play thing’. In their mind, this kind of activity is a ‘play’ exercise for them believing that keeping someone in a state of discomfort is a demonstration of their prowess. The clearest sign is that the bullying happens again and again and it’s not just someone having a bad day. The abuse can include irrational or insulting behaviour, criticism, personal insults or even yelling. Bullying can also be what’s not said or just a look. Equally hurtful is finding that you are being excluded from discussions or meetings where your presence would be the norm. This silent bullying is subtle, very hurtful and harmful. An old favourite is taking credit for someone else’s work or reporting someone else’s failure at a particular task. If you are the subject of extreme abuse, it can bring about all forms of illness that will be stress related, and it will affect your work and possibly your social life as well. The important thing is to recognise the bullying for what it is, do not blame yourself, keep your head down and do your work to completion leaving no loose ends to criticise. Confide in a close colleague and ask them if possible to watch and listen and be the witness if needed. If you are bullied, at an appropriate, and quite time, you tell your ‘bullier’ that their behaviour in your view constitutes bullying and that you would be obliged if they would give this some thought and treat you with more respect in the future. All this may sound very simplistic, but for the abused person it may be a very difficult to confront these individuals who usually have a strong personality or is more senior than you. Always remember the law is on your side. So take a deep breath and say it. You will only have to say it once. You should add that from this time on you will keep a written record of the date, time and location of any act, gesture or comment that is unacceptable and it will be made available to HR or whoever has that authority if need be. You might be surprised at the response you get. When challenged they will deny everything and respond saying that it was only a casual conversation, it was not intended to be hurtful, and it was only a joke. More often than not that’s the end of it. That done they will move on to find other prey. If however, the response is abusive, allow the individual to finish whatever they want to say then take out your notebook, make your first entry in their presence, and say “it starts now”. Then just walk away. You can be very sure that your abuser will think about this very carefully, will probably make a few comments over a day or two just to save face and all will quieten down. These people are manipulative and very clever. If they believe there is the slight chance that their behaviour may be reported and proved, they will stop immediately. If the bullying persists you must then report it to H.R. There are laws to protect you from bullying abuse, and there is lots of legal advice available. However, before you report abuse, be sure you have all your facts right. Dates, times, what was said, to whom and who was a witness. With your HR people make notes of what was said and to whom. Keep a careful record of your progress and keep your notes on your person or at home, not in the office desk drawer. It’s essential you keep records as legal issues could arise, so you need precise notes of all past events. From time to time post your notes to yourself by registered post and keep them unopened. You cannot then be accused of making up issues and backdating them to suit. One thing is for certain, you are not obliged to put up with it, and when the day comes that Mr or Ms x is sanctioned for their activities, you might be surprised at the sighs of relief that come from others all over the place. You are rarely the only one. Industry. Enquiries are welcome and treated in the strictest confidence.